DC Design always stay ahead of time when it comes to automobile modification. 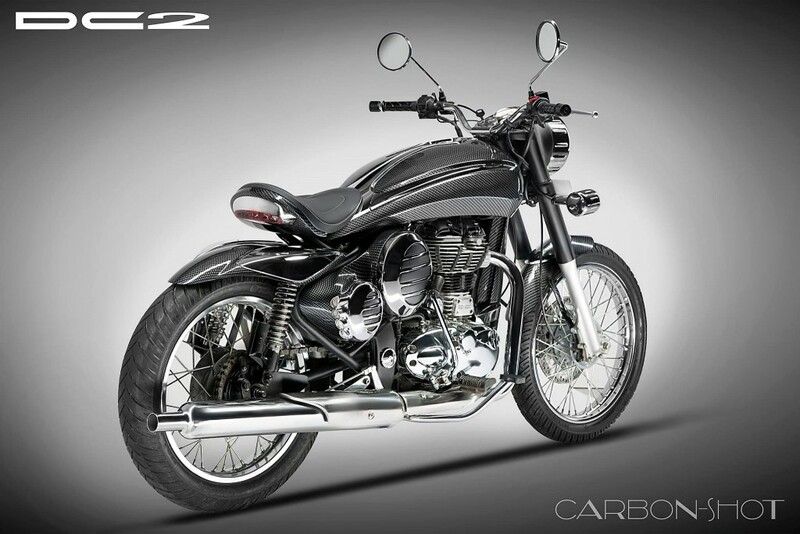 This typical Royal Enfield Classic 350, known as DC2 Carbon Shot, went under their scissors and came out as an all new product that takes retro-modern appeal to the next level. 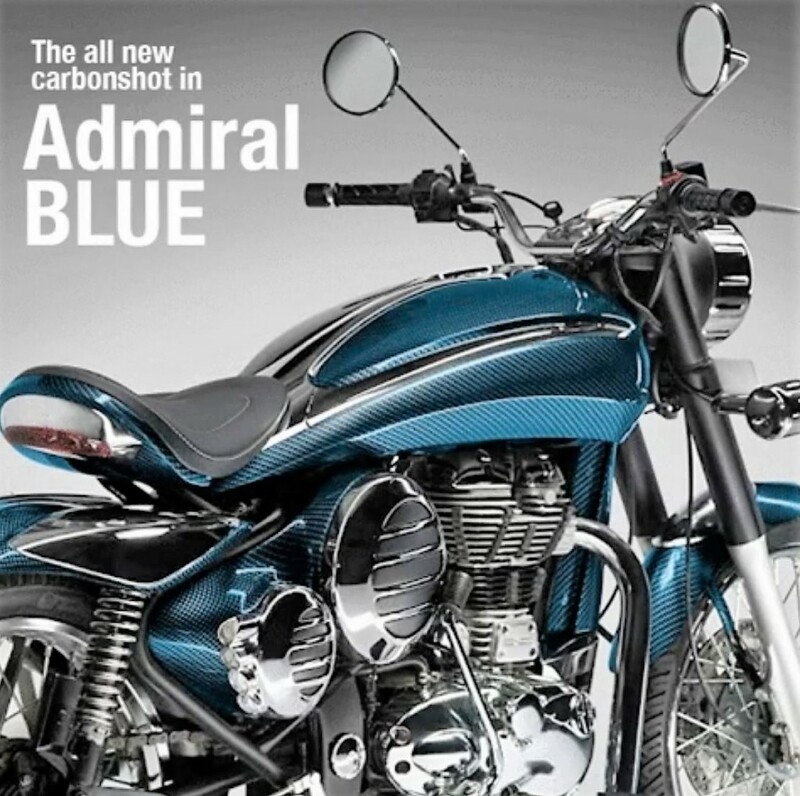 Commercially, they are well known for their work on cars and this is their first official two-wheeled project based on a Royal Enfield. 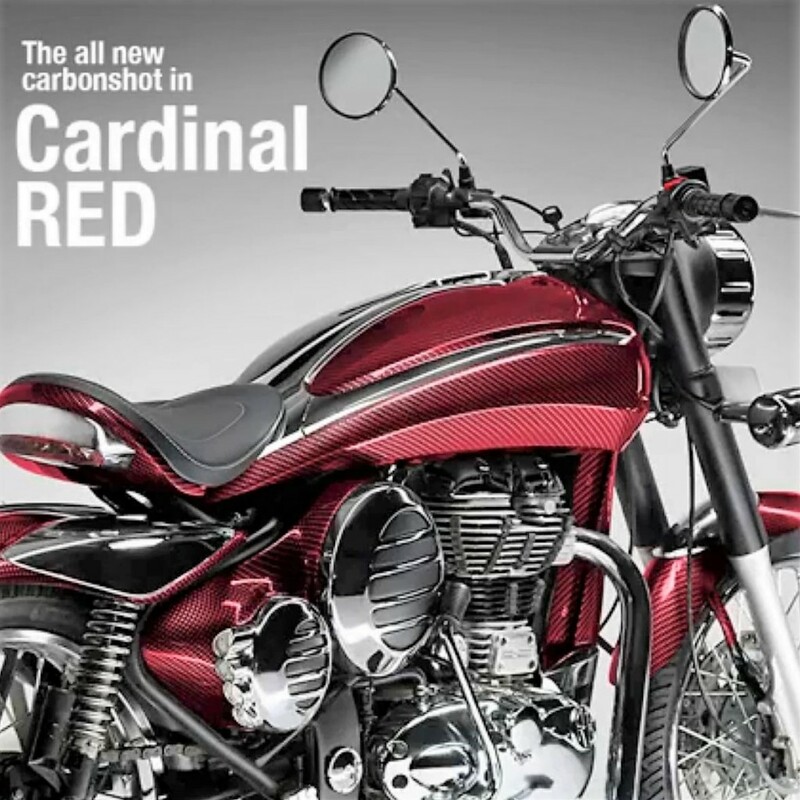 The custom kits for motorcycles have been launched under sub-brand DC2 and the 1st custom motorcycle is known as DC2 Carbon Shot. The fuel tank for the DC2 Carbon Shot (Custom RE Classic 350) is large and carries the popular tear drop design. 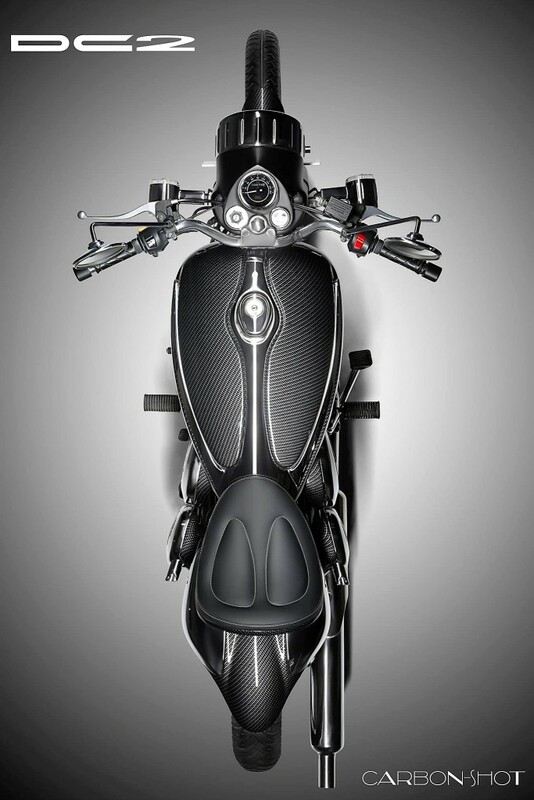 The seat here is also custom made, flowing seamlessly with the fuel tank design. 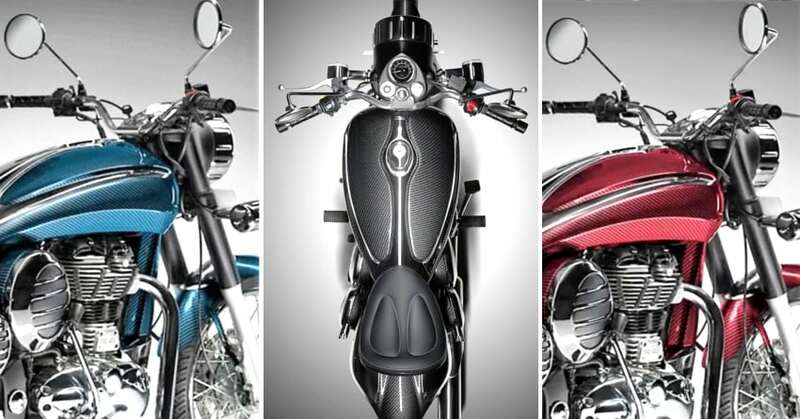 The rear fender has been chopped while the front even seems to be in its minimum form. The side covers and battery sections are very well finished with designer chrome panels. The hydro dipped fiber glass is made to look like carbon fiber while the body actually lacks any use of the lightweight yet expensive material. The headlamp has been covered with thick chrome rings while the inner section now replaces LED lights for the stock halogen bulb. The stock indicators on the DC2 Carbon shot have been replaced with cylinder shaped indicators. 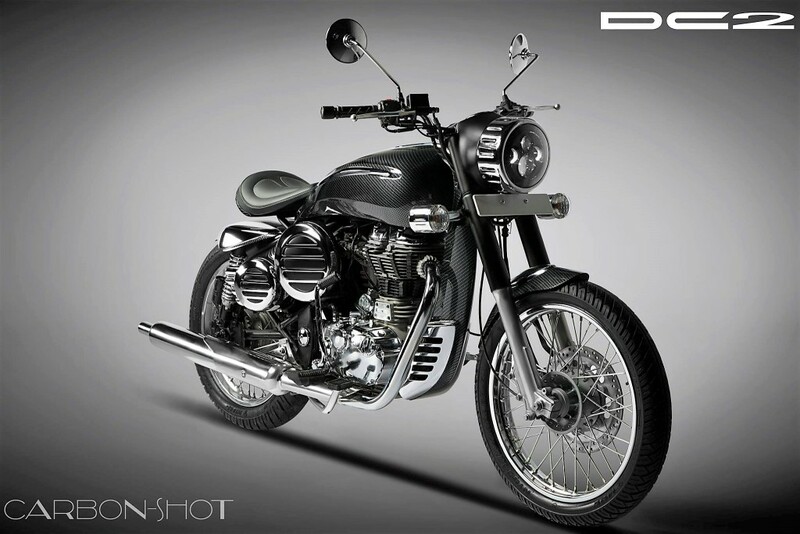 DC has worked on the visual enhancement of the motorcycle while working parts like engine, suspension, wheels, frame and brakes are left untouched. 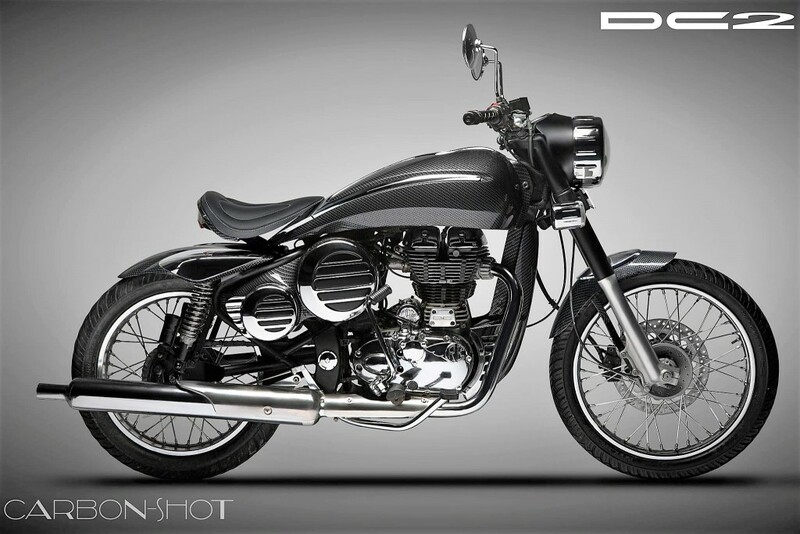 The price of this custom kit is around INR 76,000 (cost of the base Royal Enfield Classic 350 motorcycle is extra). DC2 Carbon Shot is also available in 2 bright shades – Cardinal Red and Admiral Blue. These 2 shades are actually more alive when compared to the other one, leaving the money spent on the motorcycle in an even visible manner. The chrome parts are looking even attractive on the Red and Blue shade. 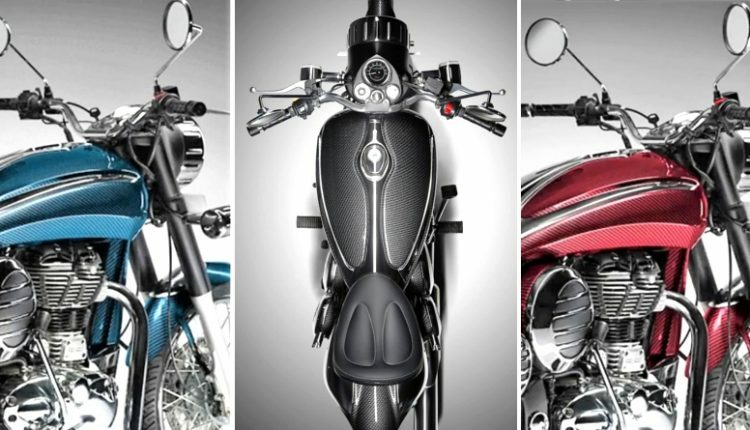 The front suspension cover and headlight unit remains Black on the motorcycle. It can even be heard roaring in another video from DC Design.